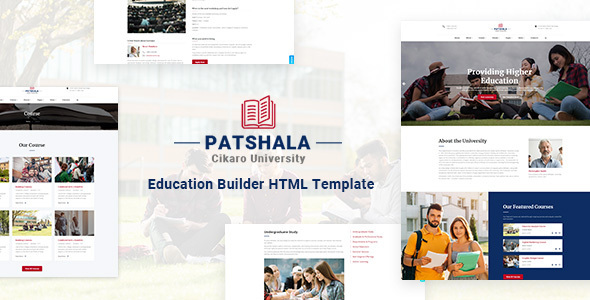 Patshala – Education HTML Template with Page Builder is a modern and new-fashioned HTML template. Patshala is specialized for Education and eCommerce websites. You can use this HTML template for University, College, High School, Kindergarten, Coaching Center, Education Consultancy etc. Along with the beautiful and unique design, Patshala has 100% Responsive Layouts and Cross- Browser Optimization. While visiting the demo, you will notice the flawless design and ideal placement of the options and features. Installing this super-smooth website template will hopefully be a groundbreaking decision for you.